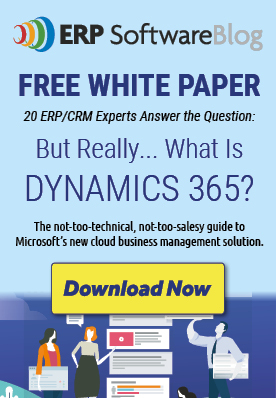 A comparison of the differences between products in the Microsoft Dynamics product line. Specifically, looking at the differences between Dynamics AX, Dynamics GP, and Dynamics NAV because these three offer the most common feature set and overlap, and we get the most questions to help differentiate these when organizations are trying to determine which one is best for them. This blog post is for those of you who are looking to understand Lookup fields in Dynamics 365 (or Dynamics CRM), or a quick refresher on how lookups work. It will help you determine when you can DIY and when you need help. This post discusses the windows in Dynamics GP related to cash receipt, bank activity and reconciliation of bank statements and how to make the best use of them. 4. Dynamics NAV 2018 Advanced Warehouse Management by iCepts Technology Group, Inc.
With Warehouse Management Systems functionality in NAV, your company can manage items on a bin level. Receive and put away items in a bin; pick items from a bin according to a put-away template, and pick items based on the zone and bin ranking. Move items between bins using a report for optimizing the space usage and the picking process or move items manually. Warehouse instruction documents are created for the pick and put-away process, which can be carried out for sales, purchases, transfers, returns, and production orders. You’ve probably noticed that claims of AI-powered software solutions are starting to pop up more frequently, including in the context of ERP. To be clear, regardless of what breathless marketers and science fiction fans love to dream about, there is currently no such thing as artificial intelligence in its truest form, and technology advances that improve ERP solutions today aren’t AI. Read about what AI can and can’t do. Since every business conducts several hundred transactions within each accounting year, they should be recorded in different accounts as required by their accounting standards. Read how Dynamics AX uses robust principles to manage the ledger and sub-ledger processing of entries, simplifying financial management activity for organizations. 7. Project Management in Microsoft Dynamics NAV 2018 by iCepts Technology Group, Inc.
Microsoft Dynamics NAV has recently been enhanced with new features and deeper functionality into its core application including updates to Project Management in Jobs. Jobs are a way for you to schedule the usage of your company’s resources and to keep track of the various costs associated with the resources on a specific project. Jobs involves the consumption of employee hours, machine hours, inventory items, and other types of usage that you may want to track as a job progresses. Explore Jobs’ new functionality and simplified features. One of the major choices facing any company evaluating ERP software is what type of deployment model you will choose. Will you rely on a traditional on-premises, remotely hosted or cloud-based implementation? What is the difference between the three and how does a company decide to choose one over the others? 9. Microsoft Dynamics NAV 2018 Product Guide Download by iCepts Technology Group, Inc.
Microsoft Dynamics NAV 2018 comes with a wide set of features including new ERP functionality in mobility, business insights, and cloud services which provides great opportunities for deployment, supporting business processes, and enhancing business productivity within your organization. To learn more, you can download the Dynamics NAV 2018 Product Guide. 10. Dynamics 365 Business Central Capabilities Comparison by iCepts Technology Group, Inc.
Dynamics 365 Business Central is an all-in-one business management solution that’s easy to use and adapt, helping you connect your business and make smarter decisions. 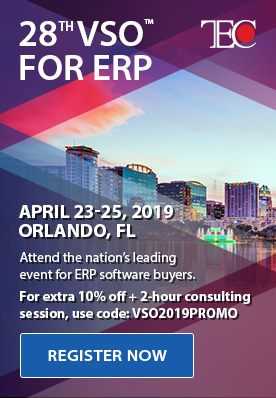 It’s built on functionality within Microsoft Dynamics NAV and adaptable to extend business applications to other Microsoft Cloud Services such as Office 365, Microsoft Flow, Power BI, and PowerApps. This post compares the functionality and pricing between the Essentials and Premium Versions. Want to check out the hottest topics for 2019? Visit www.erpsoftwareblog.com and sign up for the RSS feed or subscribe to receive new blog posts via email. Are you a Microsoft Dynamics ERP Partner that is interested in writing for the ERP Software Blog? Contact us. Very inspiring, agree I just launched my first website , I tried to make attractive design for readers. I think quality design and catchy words in an ERP software are the main components of a successful site.